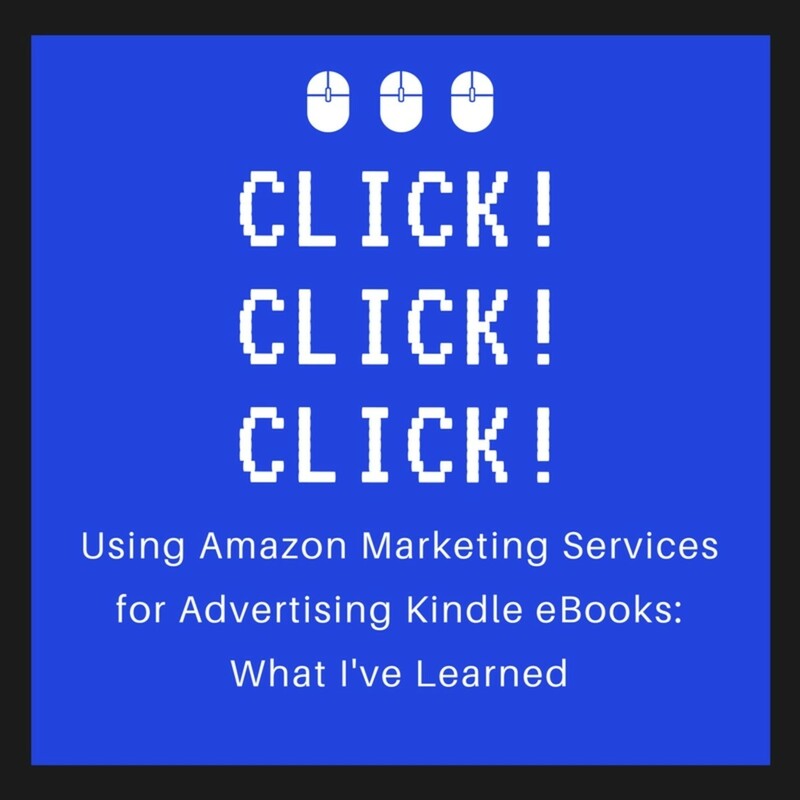 Some time ago, I published a post on using Amazon Marketing Services (AMS) for advertising your Kindle eBooks on Amazon. In that post, I talked about my on-the-cheap strategy of bidding on ads at as low as $0.02 or $0.03 per click. It’s a slow-go advertising strategy for sure. But the ROI has been good for me over time. I got a reader question about the post expressing frustration with not winning bids and having to bid higher amounts, even as high as $0.47, to “get anything.” I feel the reader’s pain! It can be very frustrating indeed when higher bids seem to win the ad placement and possibly the sale. “Seem” is the operative word here, as will be obvious in a bit. But is it really necessary to win bids to make sales? Should you aim to win in the ad bidding wars on AMS, or even other advertising platforms such as Google AdWords? And how do you know if you’re actually winning at the AMS ad game? What’s interesting is that authors have no way of knowing what their competitors are actually bidding for AMS ads. Would Amazon (or any other Internet advertising platform) tell their individual advertisers, “Hey, you know so-and-so just spent $X on their ad.” Of course not! That would be a breach of confidentiality. These authors are just assuming that their competitors are making bids that are higher than theirs and making sales. Likewise, Amazon is not going to share with you how many impressions competing ads might be getting either. For all you know, you may be getting more impressions overall than your competitors. What can trigger this frustration with AMS ads is when author advertisers “test” to see if their ads show up, and don’t see them. What I mean by test is that they enter their chosen keywords, categories, etc. in Amazon search and hope to see their ads pop up somewhere on the screen. Then all they see are competitors’ ads. But this is an inaccurate way to assess if they are winning the ad bid game. Remember that Amazon is showing ads to site visitors based on the visitors’ buying and search behaviors, coupled with super complex algorithms to which we are not privy, and don’t even have a prayer of understanding! When you visit Amazon, Amazon shows you what they think YOU, as the visitor, want to see, not necessarily what your buyers will see. Since this is something you can’t control, you can’t assume that what you see on your screen is what your potential eBook buyers will see. Winning ad bids merely means that your ads will appear more frequently. It does NOT mean that you will automatically win sales! Whether someone buys anything as a result of seeing an ad is a complex process. They have to be ready, willing and able. Plus, you have to remember that your AMS ads could generate some Kindle Unlimited (KU) or Kindle Online Lending Library (KOLL) royalties if your eBooks are enrolled in the KDP Select program (which requires exclusivity to selling on Amazon). These revenues are not included in your AMS advertising dashboard results. If your eBooks are enrolled in KDP Select, you might be making “sales” of KU/KOLL reads without knowing it. There is no way to know at this juncture in time. What Are Realistic Sales Conversion Rates for AMS Pay Per Click (PPC) Advertising? Sales conversions can be just a small percentage of the clicks your ads receive on AMS or anywhere else on the Internet. Conversion rates—meaning sales made as a percentage of clicks—of 1 to 5 percent (or even much less!) are not uncommon in the Pay Per Click (PPC) online advertising world. And when you look at the percentage of sales to impressions (number of times your ad is actually shown), it’s even more disheartening, often as little as minuscule fractions of 1 percent. These low returns are not uncommon in marketing and advertising. Even many years ago when direct mail—advertising snail mail in your physical mailbox—was king of the marketing world, achieving response rates of around 2 percent from all pieces mailed was often considered a great result. So the frustration of many authors who are thrust into being marketers can be caused by their naivete of marketing realities. How Should an AMS Ad Bid Be Determined? You have to remember that your royalty is a mere percentage of the total sale. So your bid per click should never even come remotely close to the amount of royalty you’ll earn per sale. This is where authors can really make mistakes. As of this writing, for eBooks published on KDP, the royalties are either 35 or 70 percent of the total sale price (depending on the region sold to and price point), minus delivery costs (fees for file download which are only applicable to the 70 percent royalty level, and assessed at $0.15 per megabyte of your eBook file size). With the AMS dashboard as it is now, it’s impossible to figure out what sales were at the 35 percent royalty and which ones at 70 percent. Aargh! Plus, you have no control whether a sale will be to a country that has that lower royalty rate. So it’s probably best to figure a maximum ad bid based on the lowest royalty (35%). Example: Say you’re selling a short $0.99 Kindle eBook title. The royalty rate on that is 35 percent with no delivery costs (since, again, at that royalty level, delivery costs are not assessed). You first need to figure the royalty you’ll earn per eBook. If you advertise this title at a bid of $0.35 per click, you’ll break even on your gross profit margin which means that you’ll make NO MONEY on this sale! In fact, you’ll even be at a loss since your overhead expenses (website fees, office expenses, etc.) have not even been considered. So on this particular title, your AMS ad bid should be way, WAY less than $0.35 per click. But how low should your ad bid be in order to make money. Well, you need to have a good idea of what your overhead expenses are and what net profit margin you’d like to make. Overhead and profit margin are usually expressed as a percentage of gross revenues. If you don’t know what those percentage are, see your CPA or accounting professional to help you figure those out. Using the example eBook from above ($0.99 eBook price at 35% royalty rate which nets $0.35 royalty per eBook), let’s say that your overhead expenses are 25 percent of your gross revenues, and you’d like to earn a 15 percent net margin on each sale. Let’s plug in the numbers, using the Royalty Earned per eBook calculated earlier. So your maximum ad bid for this example title cannot be over $0.21. 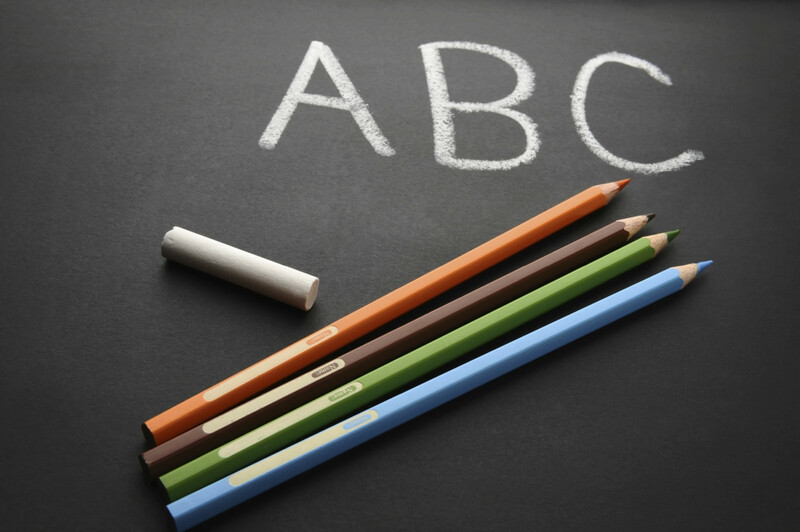 Figuring ROI at the 70 percent royalty rate requires calculation of delivery costs. That’s a real trick at this point in time because neither the AMS ad dashboard, nor any other report in KDP, tells you what the delivery costs were. It’s a shot in the dark. So I’d rather underestimate with the minimum royalty and realize that my ROI is likely a whole lot more! But here’s the complete formula that includes the delivery costs so you have it. If this number is 0, you’re at break even. If this number is less than 0, you’re sustaining a loss. So your goal is to get this as much over 0 as possible. In fact, that amount over zero needs to be enough to cover your overhead expenses and desired net profit margin. Here’s how to figure that, using the Gross Percentage of ROI on Ad Spend calculation from above. *This net ROI may be before OR after taxes, depending on whether taxes are included in the Overhead Expense Percentage or not. If not included, it’s before taxes; if it is included, it’s after taxes. Don’t forget that income taxes can be a substantial payment. Consult your CPA or tax professional to help determine your tax liability. For those ad campaigns where you’re not seeing positive or desired returns, or you’re sustaining losses—even while staying within your maximum ad bid—you can decide whether to pause or terminate them, or reduce your bids. For example, while I was experimenting with AMS' suggested ad bids on my Sponsored Product manually targeted ads, I was staying within my maximum ad bid. But they were generating too many clicks that didn't end up in a sale. So I immediately cut back my ad bids to well below my maximum ad bid. Luckily, with AMS' newly enhanced reporting features in 2019, I was able to quickly see which keyword bids were running out of control and could make course corrections. When it comes to online advertising, a “more is better” strategy—whether that means more ads or higher ad bids—will not necessarily result in more sales. Growth in sales from advertising is typically not linear and there comes a point of diminishing returns, no matter what type of advertising is pursued. You also have to remember that you might get a number of clicks that don’t end in a sale. This ups your total ad spend and your losses could escalate quickly. Even more reason to resist the temptation to increase your ad bids in the hopes of winning ad placements and sales. I learned my lesson with this for my former promotional products business. I would up my ad spend on Google AdWords (which is similar to AMS) in an attempt to get better returns. I’d get more clicks, but I also spent more money and didn’t see a dramatic bump in sales or inquiries. So when I started using AMS for my eBooks, I haven’t made the same mistake. Caution is recommended when scaling up your AMS ad bids. Don’t waste your money by spending dramatically more on ads if your only goal is to win the ad bid game. Slower, more incremental, upward changes allow you to assess your ads’ performance at each ad spend level and make needed adjustments. Don’t ever, EVER go over your maximum ad bid level! Also realize that even your maximum ad bid may be too high at times to generate a positive return. As mentioned earlier, constant monitoring and making adjustments is required to keep your ROI positive. 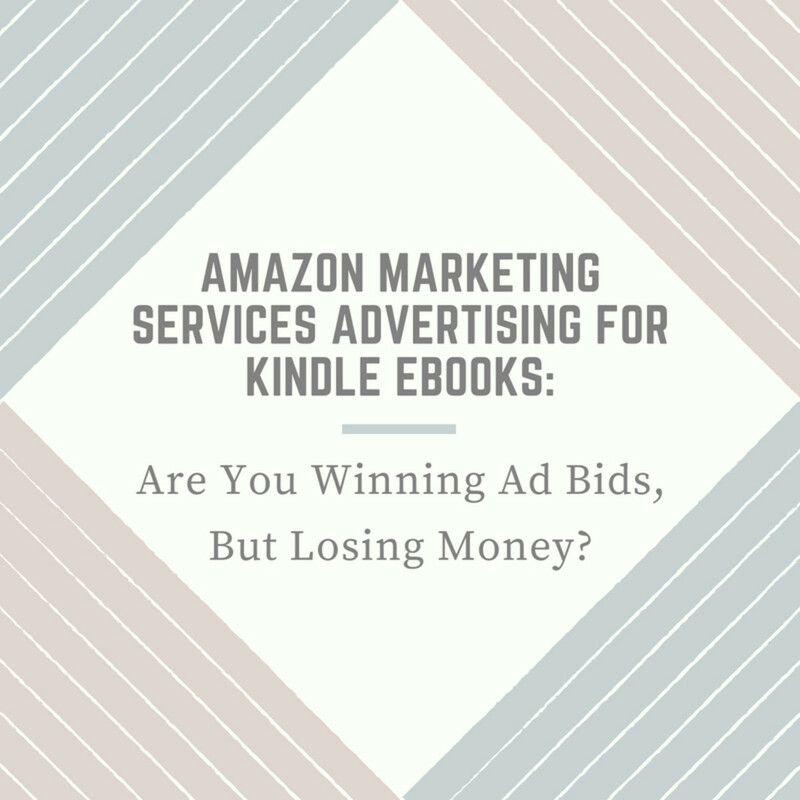 Another reason your Kindle eBook ad may not appear, or other titles win ad placement bids over yours, is that your targeting may be off target. This actually has nothing to do with your ad bids! Not including competing authors or competing titles as keywords. Keywords that are too broad or too narrow. * NOTE: Auto targeted campaigns are set up by Amazon’s algorithms. So before automatically upping your ad bids to get better ad performance, also look at some of these targeting factors. It could help you avoid having to spend more! 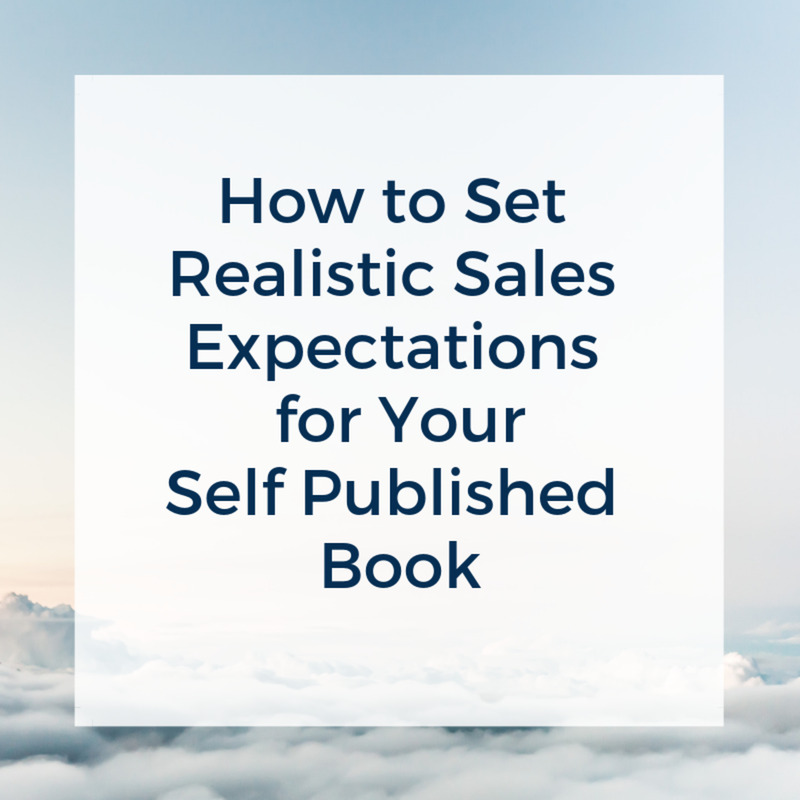 Because self published authors may not be business people, their advertising and marketing expectations may be out of whack with reality, too. They may be expecting thousands in revenues and the number of book sales, especially right after the eBook launch. That’s really rare. And their expectations for what they can achieve with programs such as AMS may be similarly skewed. 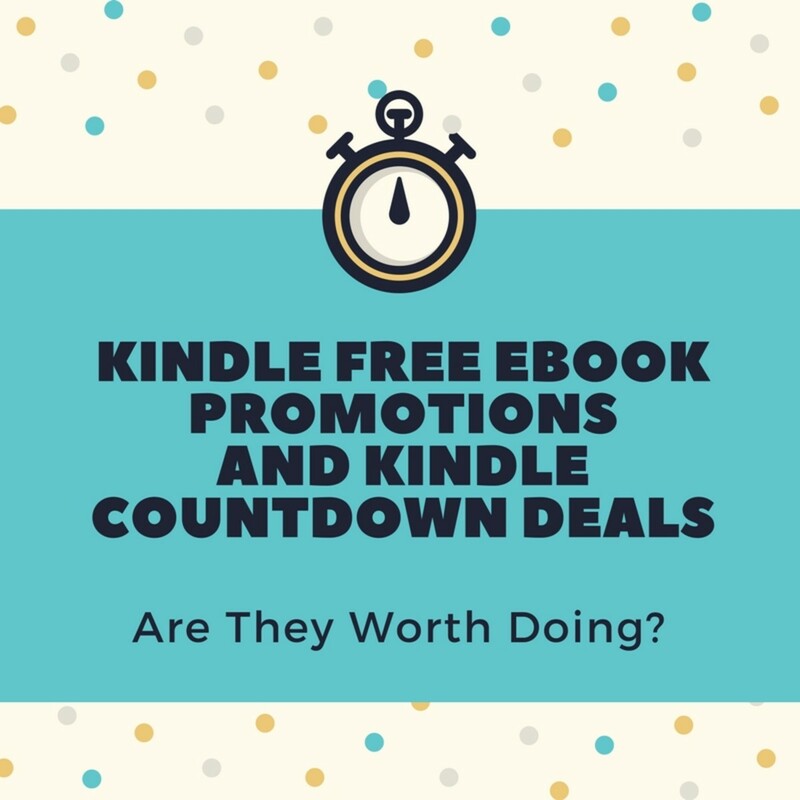 Since every eBook is different, doing an AMS ad campaign on a small scale can help authors get an idea of the marketing potential for their books since it will afford them some hard data on their eBooks’ performance and appeal in the real world Amazon Kindle Store marketplace. As with all advertising, online or offline, patience, experimentation, and a bit of investment are required to see what works and doesn’t before you make knee jerk changes to your campaigns. 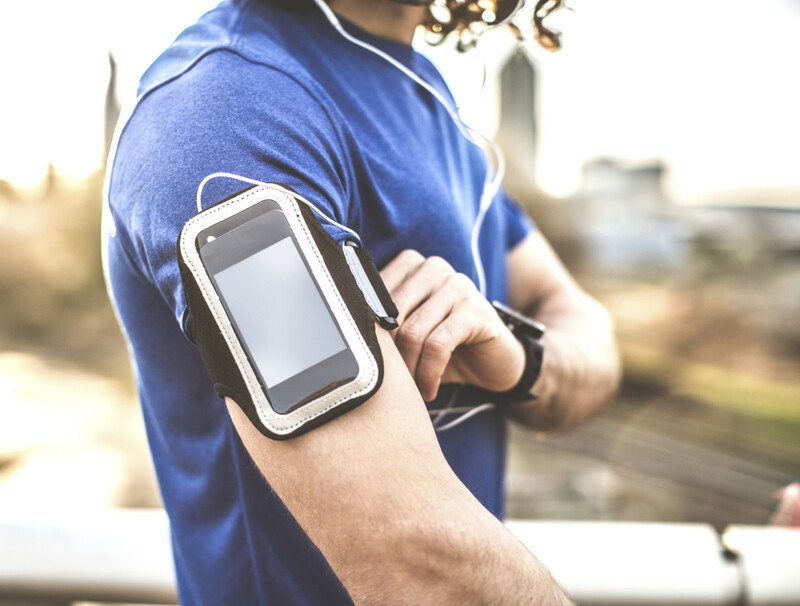 At least several months to a year of running ads and tracking results is the recommended minimum. So being conservative and closely monitoring your ad spending and results is critical. I've been away from Amazon ads for a time but always went in via KDP. I have just come across Lockscreen ads but have no idea how they work. I went through the motions of setting up an SP ad to see what happened and got a dropdown of interests but no way of entering keywords, auto or manual. Am I doing something wrong? Glad to see you want to try out the new Lockscreen ads. I'm experimenting, too. Just to clarify, are you setting up a Lockscreen ad? Or a Sponsored Products (SP) ad? You mention both in your question. The Lockscreen ads will only allow you to select interests. Sponsored Products allow selection of keywords under Manual targeting. The only thing I can figure is that for SP ads, you may not be seeing the keywords after selecting Manual targeting because you need to scroll down and select the book you want to promote first. Then a list of suggested keywords shows up that you can select or add your own in the Keywords and Bids box that appears on the screen. Right next to "Suggested" in that box, you'll see "Enter keywords." Click that, and that's where you will enter your own keywords. Also, and this is very new, and still in Beta mode, there's a Product Targeting option for SP ads. I haven't yet tried it yet. Always something new! Doris, indeed it is complicated! But it's the world we're now dealing with. Glad you found some value in the article. Good luck with the Kindle book projects! I never dreamed it was so complicated. I'm about to assist a client whose book I've been editing to publish with Kindle Direct, and I had no idea that it could be so complicated. That takes the fun out of the whole process. I've never been a bean counter, so I'm finding that I really dislike getting into all this. Hopefully your article will help us to get our feet wet. Hi Shannon! True, lots of things to think about when choosing a self publishing platform or advertising program. Thanks so much for reading and best of luck with your publishing efforts! Lots of useful information here. I haven't published anything else on Amazon yet, but I was looking into their ad program and various other things. There are benefits to selling solely on Amazon, but there are also plenty of disadvantages. You make a good point to consider in this article when you mentioned the potential KU readers as a direct result from an ad. Hmmm...more to ponder. Thanks. Kathleen, I'm so glad that you went to a conference where someone actually told the truth! Also glad that you believed it and put your efforts into perspective. I run into authors who think they're going to be "The One." Please! Thanks so much for adding your experience to the conversation! Have a great weekend! I recently attended my first writer's conference. An agent said the average book sells 250 copies. That put my efforts into perspective. I've spent way more than I am ever likely to earn trying to promote my books. I've tried virtually every suggestion I've ever heard. Lesson learned. Save your money. The odds are against you. Write for the pleasure of writing. Flourish, the dollars that can be lost through improper targeting can be huge! I found that out the hard way and won't be doing that again. Sure, my ad campaign results appear to be smaller. But I'll go for relevant all day long! Thanks for highlighting that important point! Have a wonderful week! Wow, is there ever a lot to consider! And just to think that you could end up losing money even with sales by doing this. I recently clicked on an ad for a non-book related service that was just what I had been looking for (a traveling vet) but the problem was they had the geographic area slightly wrong. I live in a metro area and it serves another nearby metro area that doesn’t include mine. I wonder how much money they wasted with having people like me click on their ad. Keywords count. Linda, I worried if it was a little too detailed! :) But I figured I'd dive in and hope that it prevents someone from spending too much on advertising their eBooks. If you do start selling books or eBooks, keep me posted on your marketing adventures. Thanks so much, as always, for stopping by and reading! Have a beautiful day! Mary, that is so right! You have got to start, and sometimes stay, small to keep these PPC ad programs from spiraling out of control and wasting money. Glad you found it helpful. Thanks for stopping by and have a lovely day! This is really very valuable advice. The same can apply on the use of Adwords. Start small and learn from this. This is a very detailed analysis, Heidi. 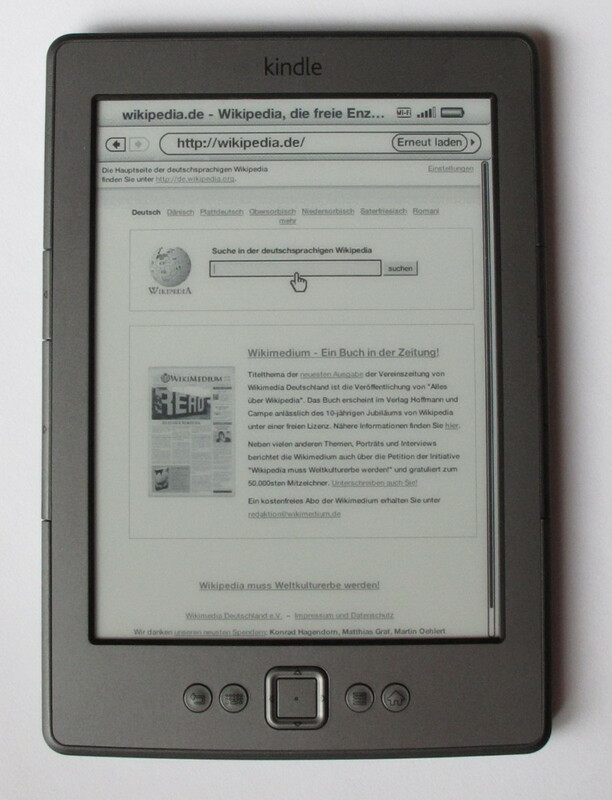 It should be very useful to people trying to sell Kindle eBooks. I will definitely keep it in mind in case I try selling the books!